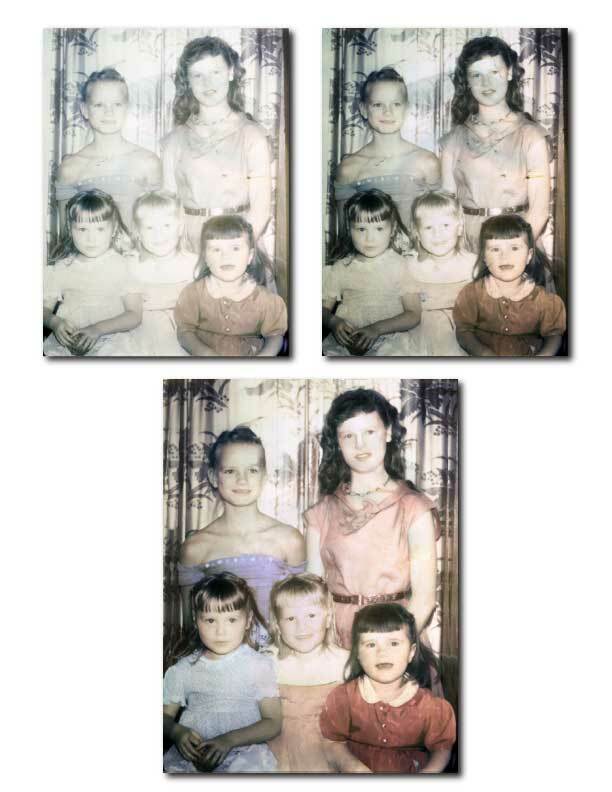 Just wanted to share a photo restoration project I’m working….It’s amazing to see what can be done to correct aged photos. The original image I scanned was very faded and very monochrome. Mind you, this project isn’t done yet, but here’s the progress so far…At the top left is the scanned image. Top right has enhanced color which brings out the damage. At the bottom is the image brought back into living color! Do you have a photo that could use a bit of TLC? Designer Mouse can help!